Using our very own supply of fresh D24 Durians, Durian Delivery is selling delicious durian puffs at a very affordable price! 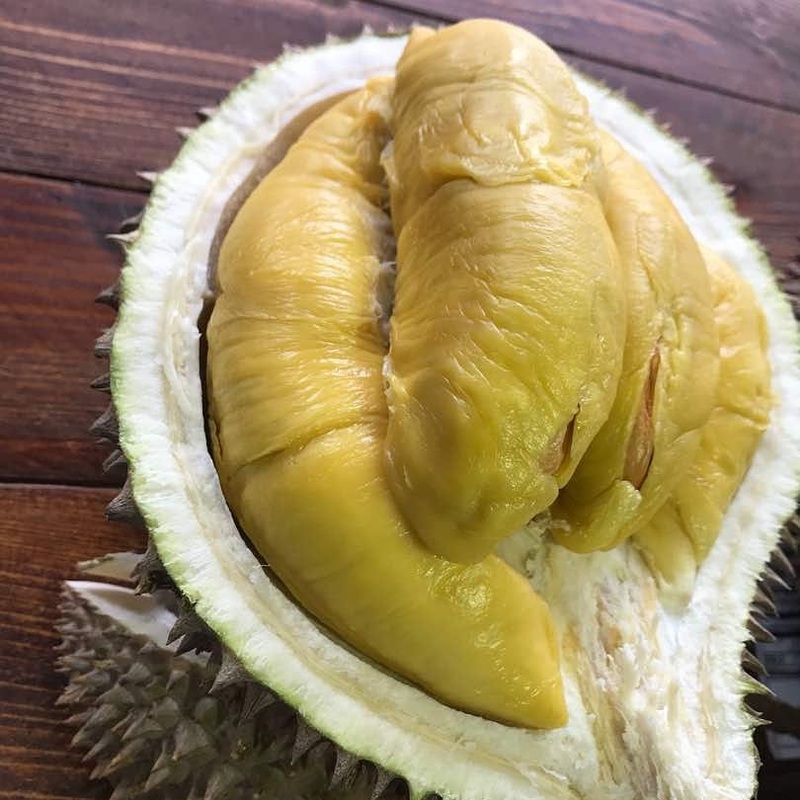 If you are a true blue lover of the king of fruits, then you are also someone who probably likes having desserts and other dishes with durian as the main ingredient. Cafés and restaurants all over Singapore have made their own concoctions and signature dishes with durian as the main star ingredient, showcasing how this country loves durians. 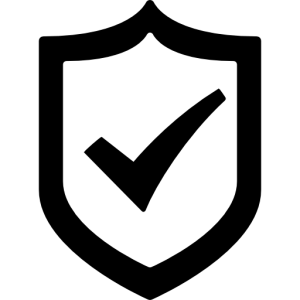 Because of this, Singaporeans and tourists have the option of eating their favorite fruit that is incorporated into various treats whenever they want. If you love sweets and durians, then one of the best things that you must try (if you haven’t) is the durian puff in Singapore. On the other hand, new durian eaters are highly recommended to try out these durian sweets and desserts while they are still trying to get used to the rich taste and smell of the durian fruit. Famous perhaps for selling durian puffs that are affordable but still equally tasty, D’Pastry also sells other pastries and desserts like crepes, sponge cakes, and tarts. Their durian puffs have a light and crisp choux which is then filled with durian filling. The rich filling has a whipped cream texture that comes with bits of durians that are a pleasant treat for durian lovers and sweet lovers as well. Serving delicious cakes and pastries since 1992, Emicakes specializes in eggless cakes and durian pastries, famous among which is the Oreo Cheesecake that long-time patrons keep coming back for. They pride themselves on serving cakes that are healthy with 30% lower cholesterol content and healthier choice of ingredients. Baked every day, their specialty durian puffs use fresh cream and real durian meat pulp that brings out the rich taste of durian with every bite. What started out as a bakery dessert retail company in Malaysia, Taste Better also has their outlets in Singapore that sells their signature durian puffs. Their outlets sell durian ice cream and other beverages, but customers love their “one-bite” durian puffs the most. They have a signboard on the store that says you have to eat the puff in one bite or else the durian puree will flow out. This shows how rich and fresh the durian puree is, without too much cream that makes it too solid. Opened in 2009, Sunlife Durian Puffs and Pastries is famous for their large and mini durian puffs that are made with fresh and pure D24 durian puree fillings. There is no additional cream or sugar added into the filling, making it the real deal if you only want fresh durian filling on your puffs. The soft pillowy texture of the puff complements the thick durian filling perfectly, making every bite truly amazing. Established in the early seventies as a fresh fruit stall, Four Seasons Durians started became a thematic store in 2002. They offer durian lovers various types of sweets and treats including Mao Shan Wang ice cream, durian cakes, durian mochi, and their famous durian pancakes. Among these, their D24 durian puffs are also a crowd favorite. 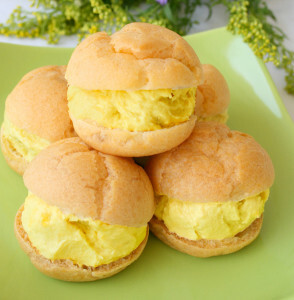 Made with fresh D24 durian puree, the rich and creamy durian filling bursts out of the light and fluffy puffs. This is something that every durian lover will surely adore indulging into. Owned by the fruit wholesaler 717 Trading, Durian Mpire specializes in making durian desserts and sweets that are simply likable. Individuals who are new to eating durians swear by how they were able to fall in love with the taste because of the durian puffs made by Durian Mpire. The pastry puff has a soft and moist texture but has a slight crispness to its outer shell. The sweetness of the durian filling is both smooth and light, making it great for individuals easing into the taste of durians. Often proclaimed as the best durian puff in Singapore, Goodwood Park Hotel’s signature durian puff is found to be more expensive among the rest. Their durian puffs involve a rich durian filling that is made with fresh D24 durian where small durian bits can be tasted. This filling is then sandwiched in between two airy puff shells that are crisp and light. The natural sweetness and just the right taste of durian make Goodwood Park Hotel’s durian puffs a must-try for both old and new durian lovers. Having been around since 1949, L.E. Café Confectionery & Pastry has been serving cakes and other dessert treats in Singapore for decades. They boast of crafting all their specialties by hand, without using any pork or lard in any of their ingredients. Some of their famous delicacies include pineapple tarts, moon pies, loaf cakes, homemade cookies, and cakes for all occasions. Among these, their special durian puffs stand out among Singaporean durian lovers for its light choux pastry bread filled with fresh Mao Shan Wang durian and cream. For durian lovers who simply love durians of every type, the 818 Durians & Pastries stall provides one of the best durian puffs in Singapore. What makes this a great place to visit is that you can have both fresh durians and durian puffs in a single place. You can be assured that the durians that they use for their durian fillings are made with fresh durians that they sell at their stall. The durian filling is light but tasty, making it a great take-home snack anytime. Located at Changi Village, Crepes and Puffs is a warm and cozy café that specializes in making sumptuous desserts and pastries. For durian lovers, they have durian crepes and durian puffs that are made fresh daily. 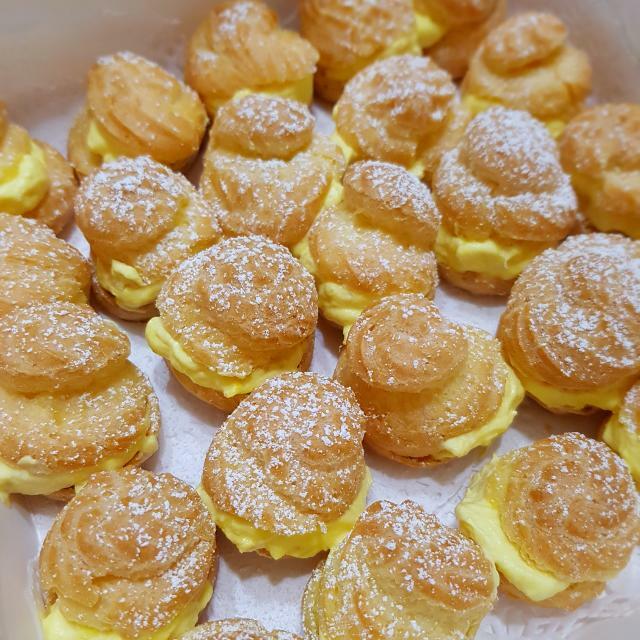 The durian puffs are especially tasty with their small bite sizes in a light and airy choux. The filling has the right balance of durian and custard, making it a great treat for people who love sweets. These top ten stores offer the best durian puffs in Singapore that you can possibly have. Your craving for both sweets and durians will surely be met when you get your durian puffs from these pastry shops in Singapore. 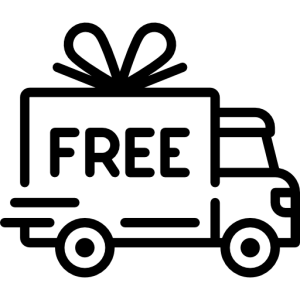 Still, if you want to have fresh durians delivered to wherever you are that is guaranteed fresh from the plantations, you should try out Durian Delivery. You can have a wide array of durian types to choose from, which will be delivered right to your doorstep.